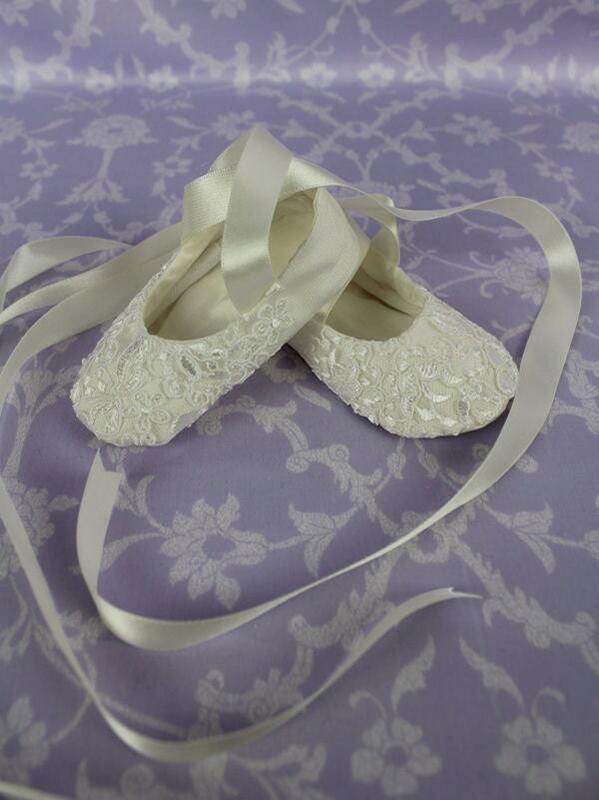 These little booties match our Michelle and Lauren gowns. 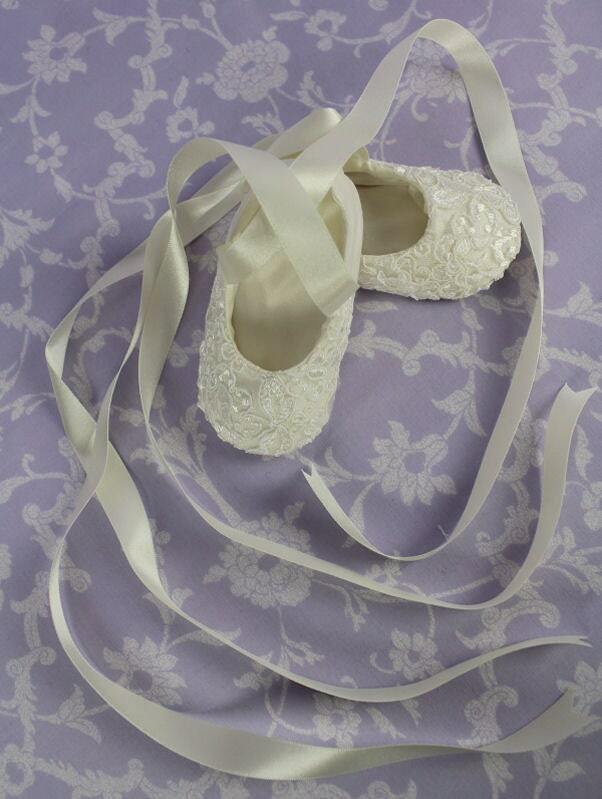 Our Michelle Ballet ballet pump is covered in the Michelle lace. 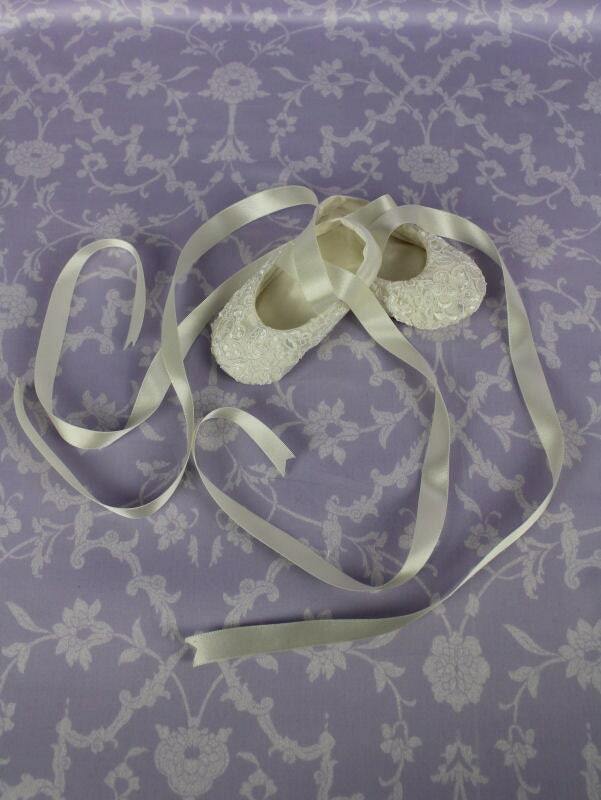 The Michelle booties also match out Michelle Bonnet.